Anyone who owns a business knows the sheer amount of effort that goes into keeping it running. It’s not just about getting a job done. There’s also marketing, customer service, advertising, paying bills, and getting paid. And it’s that last one that can really wreck your business. Let’s look at tradies. Tradies are a great example because all the roles in the business are fulfilled by one person: the tradie. But few of them have the time to wear all these hats because they’re so busy working in their business. As the business’s only ‘employee’, if they don’t do the work, they don’t get paid. So that’s what they do. Even as their business grows and they take on staff to handle the work, that’s still the focus. And before too long, that’s where it goes wrong. Busy doesn’t equal money. If you or your tradies don’t invoice straight away, the customer has no reason or information to pay on time. Then when you do finally issue the invoice weeks later, you might wonder why you don’t see payments straight away. But you don’t have time to find out why, because it’s on to the next job, and the next, until suddenly, it’s three months later and there are a stack of unpaid invoices and a very underwhelming bank balance. Without more cash in the bank, you risk your business. Without money, bills go unpaid. Staff don’t get their wage (which is a whole other story). You can’t buy the equipment you need. 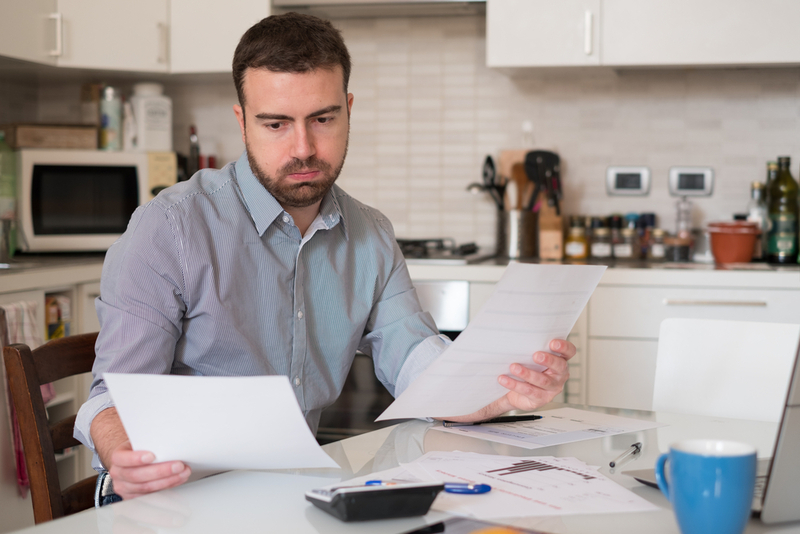 Not many businesses come back from this kind of struggle, either because they can’t recover the cash or engaging a debt collector cost them whatever they had left. So don’t let it get to that point. If you’ve got a tradie business, here are three actions you can take to make sure you are getting paid quicker. Payment terms cover a range of information your customers need to settle their invoice. If you don’t have a due date, then you can’t chase up a payment. Having a set date or period of time lets your customers organise their payment and helps you plan your incoming cash. You can choose to make it on the day payments, set it 7 days from the invoice, or even 30 days. It doesn’t matter which one you use as long as you make this clear to your customers in writing on the invoice. Cash, bank, card. There are a number of ways you can get paid, but you need to be clear with customers about which ones you accept and prefer. A note on credit cards: if you’re using a system that accepts credit cards, get familiar with the recent surcharge ban that came in (the short version is that you can pass on the fees that banks charge you, but you can’t charge higher than that). Many businesses have a fee for late payments. It means you can charge a set amount of interest for every day the payment is late. It’s rare businesses enforce this when it happens, as it can be tricky to settle. But it’s helpful as a way of encouraging on-time payments. It’s the dream: issue an invoice, get it paid. Unfortunately, real life is a little messier. Clients might not pay on time for many reasons. They might have simply forgot, so a quick follow up is enough to settle the matter. Other times, you get a customer who is much little less honest and doesn’t want to pay. In these situations, you need to stay the course and follow up regularly. If they see you aren’t going away, they’re more likely to pay. If you’re offering a line of credit as a way to increase your customer base, only offer it to people that you’ve vetted. It’s too easy for credit to turn into months of unpaid invoices, leaving you with no money to pay your staff or your bills. Debt collectors cost money so by the time the invoice is paid, you might have very little leftover. If you don’t have time to chase your debtors or would rather focus on your business, that’s what we’re here for. We can follow up on invoices when it’s due and continue to follow up until it’s paid. We even enlist the help of lawyers to create a Letter of Demand when the invoice stays outstanding too long. And then it doesn’t stay that way for long. Because we have your backs.